Prenuptial Agreement Archives | Florida Law Advisers, P.A. Entering into a marriage is a life changing event, one that each party hopes will last forever. However, divorce occurs more frequently that couples would like. For instance, American Psychological Association reports that forty to fifty percent of first-time marriages end in divorce. Further, the divorce rate is even higher for second or subsequent marriages. See American Psychological Association. Regardless of the circumstances, a Florida prenuptial agreement can be very helpful to a couple. Premarital agreements, commonly known as pre-nups, are essentially a contract the couple signs before the marriage. 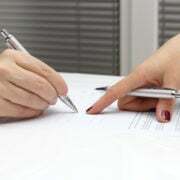 The contract determines the distribution of assets, debts, alimony and other issues in the event of a divorce. For more information on a Florida prenuptial agreement contact a divorce lawyer in Tampa. A Florida prenuptial agreement can cover a wide range of issues. 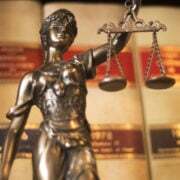 This issues include:alimony, division of debts, and assets in the event of divorce. Additionally, the agreement may include many complex requirements that are not part of a normal contract. For this reason, it is important to consult an experienced Tampa pre-nuptial agreement lawyer while creating and before signing a premarital agreement. Many divorce law firms will offer free initial consultations for these types of legal issues. There are many benefits a couple can find from a Florida prenuptial agreement. For instance, the agreement can allow the parties to determine the terms of a divorce and avoid costly litigation. Though commonly thought to be important for only wealthy couples, prenuptial agreements can save litigation costs for any couple, as long as thoughtfully and fairly drafted at the onset. It is important to note, there are some issues a Florida prenuptial agreement cannot determine, such as child custody rights. Under Florida law, child custody is based on the best interest of the children (not the parents). Therefore, custody is not a decision parents and/or spouses can make prior to an active child custody case. To find out more about other issues not eligible for a Florida prenuptial agreement contact a prenuptial agreement attorney in your area. Generally speaking, a Florida prenuptial agreement is not modifiable, although there is a separate agreement known as a post-nuptial agreement (click here for more information on post-nuptial agreements). Because a Florida prenuptial agreement cannot be modified careful planning is required. A good prenuptial agreement will not only account for the assets at the time of marriage, but will consider the potential for future income and accumulation of assets as well. An example where this could be important is in a situation where one party had a high income job when the prenuptial agreement was signed and thus did not request alimony. Then, during the marriage, that party became unable to work due to a disability. Though their financial situation has drastically changed, because the right to alimony was waived originally they cannot receive alimony at the time of divorce. See Florida pre-nuptial agreement law 61.079. For information about a particular set of circumstances, contact a Tampa divorce attorney. It is important to remember that Florida utilizes equitable distribution in divorce proceedings if there is no prenuptial agreement. Simply put, this means that marital property (assets & debts acquired during the marriage) become property of both parties unless exceptions apply or a marital agreement changes the arrangement. This is the standard that will likely be applied should the agreement be found unenforceable by the court. Florida Law Advisers, P.A. is experienced at negotiating prenuptial agreements that protect our client’s rights and satisfy rigorous judicial scrutiny. If you are considering drafting or challenging a nuptial agreement and have questions, you are welcome to contact us to schedule a free consultation with a Tampa family law attorney at our firm. A prenuptial agreement in Florida can allow you to modify certain provisions of Florida divorce law to better fit your specific circumstances. A well-executed prenuptial agreement in Florida will allow you to set forth the terms of the divorce, rather than a judge dictating the distribution of your assets and the amount of spousal support awarded. For more information on what can and cannot be included in the Florida prenuptial agreement contact a divorce law firm in Tampa. Florida has adopted the Uniform Premarital Agreement Act, which expressly provides that parties may reach a binding contract on the following issues: (i) the parties’ rights and obligations concerning any assets and liabilities; (ii) the right to buy, sell, use, transfer, or dispose of property; (iii) the distribution of property upon separation, dissolution, death, or other event; (iv) the right to alimony; (v) the making of a will or trust; and (vi) the disposition of life insurance proceeds. There may be additional preclusions as well, and you should contact a divorce lawyer in Tampa for specific advice about your prenuptial agreement in Florida. A valid prenuptial agreement in Florida is a legally enforceable contract; however, it can be challenged and voided in a court of law. A prenuptial agreement in Florida may be voided in its entirety or just specific provisions of the agreement, if there was no full disclosure or a finding of duress, coercion, fraud or a material misrepresentation by one of the parties to the agreement. It is important that both parties hire their own divorce attorney when entering into a prenuptial agreement. Failure to hire your own attorney may not be sufficient to void a prenuptial agreement in Florida. It is important to seek counsel to be fully advised on what you may be subject to as part of the prenuptial agreement. Once a prenuptial is fully executed it may be binding and nonmodifiable, you should proceed with care. A Florida family law court does not have authority to void a prenuptial agreement in Florida simply because it is disadvantageous to one of the parties. See Castro v. Castro & Kuchera v. Kuchera. A prenuptial agreement in Florida cannot be voided solely because in hindsight, it represents a bad deal for one of the spouses. However, a prenuptial agreement that is unfair on its face will create a presumption that there was not full disclosure. Usually, the party seeking to enforce the agreement will then have the burden of proving full disclosure was provided to the spouse challenging the agreement. If the presumption is not rebuffed by evidence, the prenuptial agreement may be voided in its entirety or limited to specific provisions. 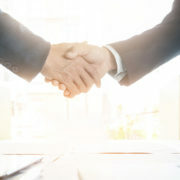 However, if there is sufficient evidence to refute the presumption of lack of disclosure, the agreement will be enforceable, regardless of how unfair the terms of the agreement are. Thus, it is highly recommended you retain a Tampa divorce lawyer to assist with preparing the prenuptial agreement in Florida to make sure it will hold up to judicial scrutiny. Regardless, if you are trying to enforce a prenuptial agreement or void an agreement, Florida Law Advisers, P.A. may be able to help. Our divorce lawyers in Tampa have years of experience in drafting and challenging prenuptial agreements in Florida. Every prenuptial agreement in Florida is different, and our vast experience allows us to cater our services to a client’s individual needs. To speak with a Tampa divorce lawyer at our firm call us today at 800 990 7763. A prenuptial agreement can allow you to modify certain provisions of Florida divorce law to better fit your specific circumstances. A well-executed agreement in compliance with Florida prenuptial agreement law will allow you to set forth the terms of the divorce, rather than a judge dictating the distribution of your assets and the amount of spousal support awarded. To find out more about Florid prenuptial agreement law contact a divorce law firm in Tampa to schedule a consultation. Florida has adopted the Uniform Premarital Agreement Act, which expressly provides that parties may reach a binding contract on the following issues: (i) the parties’ rights and obligations concerning any assets and liabilities; (ii) the right to buy, sell, use, transfer, or dispose of property; (iii) the distribution of property upon separation, dissolution, death, or other event; (iv) the right to alimony; (v) the making of a will or trust; and (vi) the disposition of life insurance proceeds. Under Florida prenuptial agreement law, prenuptial agreements may be enforceable even if, in hindsight, they represent a bad deal for one of the spouses. For instance, in Ferguson v. Ferguson the court upheld a pre-martial agreement concerning the transfer of a home prior to the recent real estate downturn. Per the prenuptial agreement, the husband was to retain sole ownership of the home in exchange for paying the wife $185,000 and indemnifying her from any property taxes, assessments, or other property related expenses. The prenuptial agreement was drafted prior to the real estate market downturn and did not provide for, nor anticipate the drastic drop in the home’s value. The husband attempted to void this provision in the contract because the change in the home’s value made the deal significantly worse for him. However, the court upheld the prenuptial agreement and ordered both parties to fulfill its performance. The prenuptial agreement can be a legally enforceable contract; however, a Florida family law court does have the authority to overturn the agreement if it was not properly executed in compliance with Florida prenuptial agreement law. Further, a court can disregard certain provisions of the contract while still enforcing the remainder of the prenuptial agreement. Therefore, it is very important that you receive competent legal advice from a Tampa divorce attorney experienced in Florida prenuptial agreement law. Not all aspects of a divorce can be resolved with a prenuptial agreement. For instance, a court may void provisions of an agreement that attempts to alter the child support or child custody rights of a spouse. A court will only enforce these types of provisions if they are more beneficial to the child than Florida family law provides. See League v. Lassiter. Additionally, provisions of a prenuptial agreement that attempt to limit or prevent support during a pending divorce are generally not enforceable under Florida prenuptial agreement law. A skilled divorce lawyer can be very helpful not only with the negotiation process but also in drafting an agreement that will satisfy the rigorous standards of Florida prenuptial agreement law. The Tampa divorce lawyers at Florida Law Advisers, P.A. are experienced at negotiating prenuptial agreements that protect our client’s rights and satisfy rigorous judicial scrutiny. If you are considering drafting or challenging a prenuptial agreement and have questions call us today to speak with a divorce lawyer in Tampa.